GEMMY REPLACEMENT CHRISTMAS SANTA SOUND BOX! 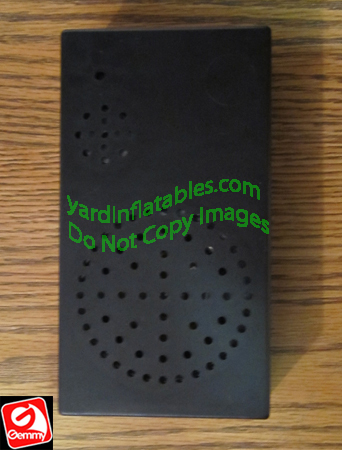 This is a replacement sound box for Gemmy Airblown Inflatables. This sound box plays Christmas music and quotes from Santa. The sound box measures approx. 6" x 3 1/4" x 1 3/4"
This item may have some marks on the plastic because of how they were stacked. They are new, shelf stock from the manufacturer. 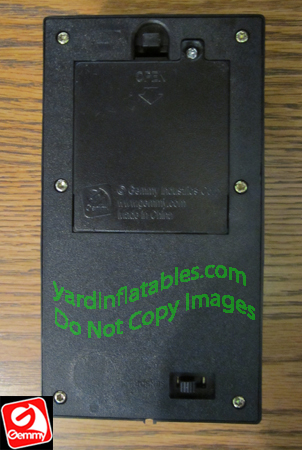 It is battery operated (4 AA batteries needed / not included) with a switch to set it to OFF or SENSOR. When set to SENSOR this box will play the music when it senses SOUND. Please see the video to see exactly what this item does.It is up to you to decide if this sound box will work for your needs as they are not returnable!